For the 2017 Holiday gift, O’Keefe Reinhard & Paul chose to share the gift of inspiration for the new year. 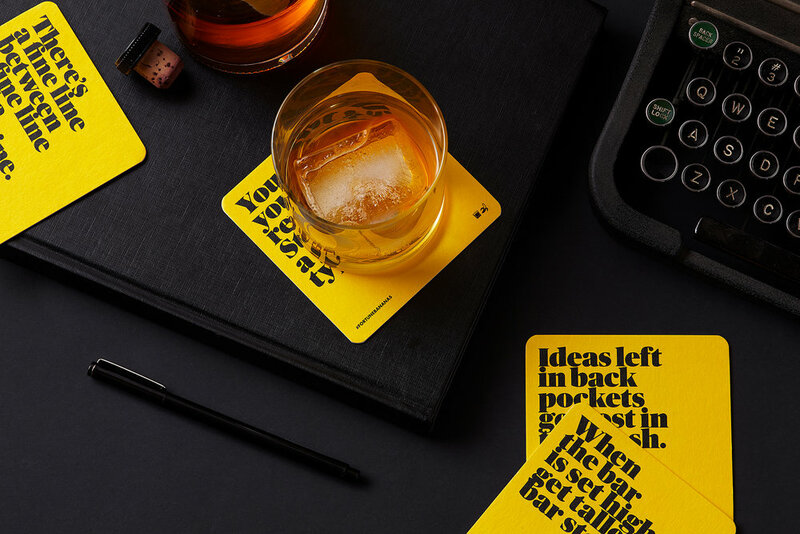 Presented in the form of a coaster/calendar - perfect for an agency who's mantra is 'Whiskey & Bananas' - each set comprises 12 cards that sit on a custom wooden base. The cards feature an inspiring OKRP crafted message a.k.a Fortune Bananas on one side and a 2018 monthly calendar on the other. The design of the Fortune Bananas are a part of the arsenal of OKRPs Social precense created earlier and highlight the OKRP visual and narrative style guides. Sent across the country to OKRPs clients and friends, the 2017 Coaster Calendar is a simple yet striking balance of a little bit Whiskey and a little bit Bananas in true OKRP fashion.